Do you dare to drink that bottle of wine? This medieval dragon wine bottle holder is a fantastical finishing touch to your bar or buffet. 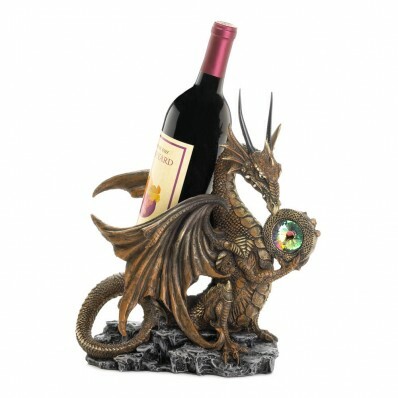 Holds a standard bottle of wine in fierce style! Made of polyresin. Wine bottle not included. 11.2" x 7" x 12.4"